Or telephone us at 888-628-0839 for further assistance. 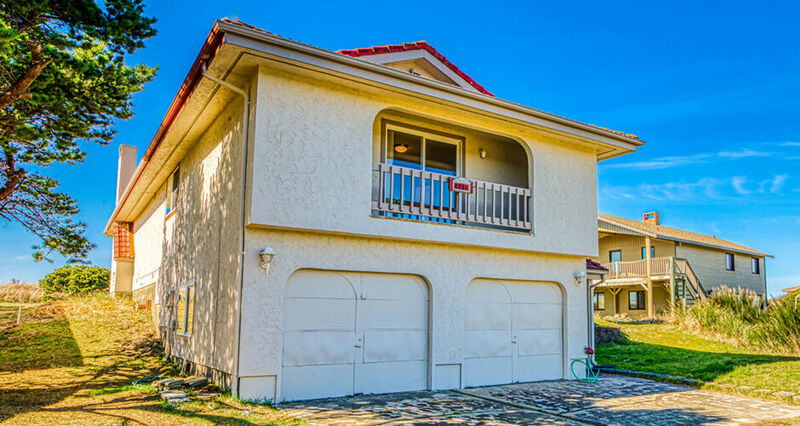 This beautiful seaside home has 3 bedrooms and 3 bathrooms, big enough for the entire family or all of your closest friends! The master bedroom holds a king sized bed as well as it’s own private bathroom. Another bedroom holds a bunk bed with a queen on the lower level. The top level is a twin. A third bedroom holds the remaining beds which are twin sized, perfect for the youngins’s in the family or the single ones! The living area also holds a futon couch for an extra person if needed. Don’t think that whoever you throw on the futon will be disappointed because they’re right in front of the fire place. They'll get to stay cozy and warm with their own personal fire. If cooking is something your group enjoys then get ready to cook up a storm because the kitchen here is to die for. With updated appliances, it is warm and spacious enough for everyone to pitch in and help out with dinner. The cabinets are fully stocked with everything you’ll need and the island is oversized so everyone can visit while awaiting the meal. 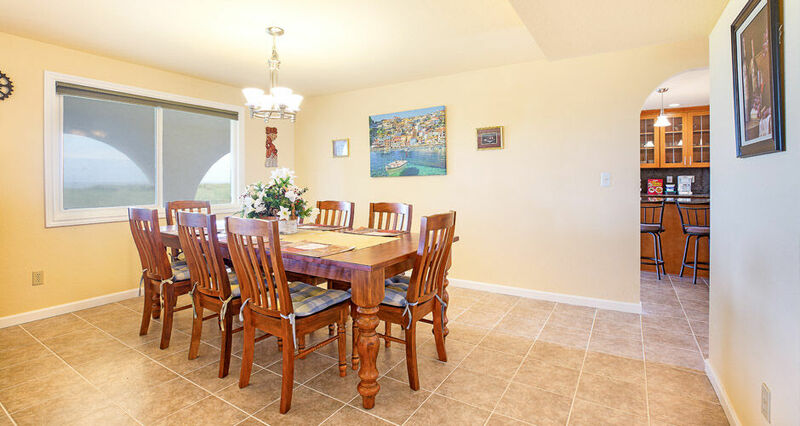 Better yet, there is a separate dining room to host a lovely meal with friends and family. 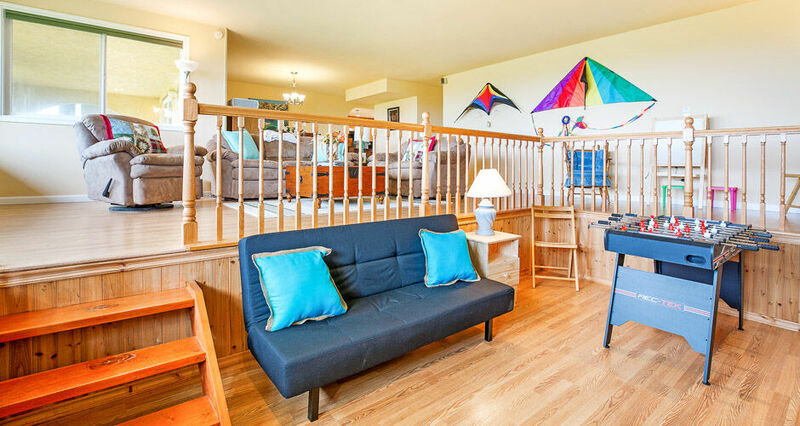 The living area is spacious and oversized filled with a comfy sectional couch, that’s big enough to sprawl out on after a long day beneath the sun. The best part about relaxing at Fiesta Seas would have to be the projector that you can view your favorite movies on. If you’re bringing the kids along then they will enjoy the fun touches we’ve kept in the living room area. There is a foosball table and a chalkboard available for use too. 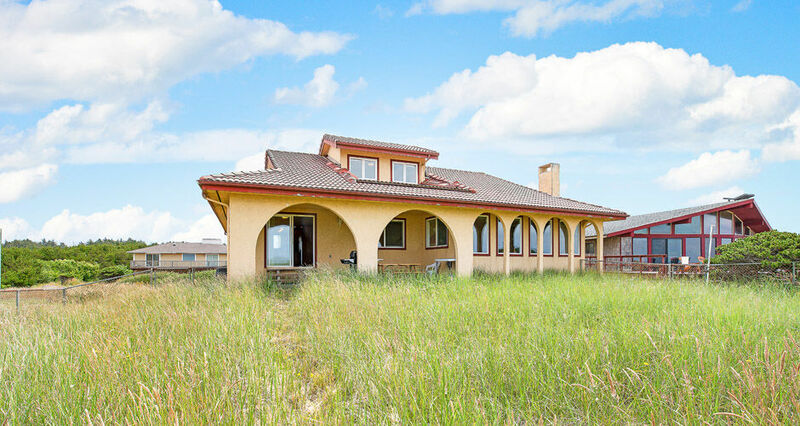 Fiesta Seas – Westport Lodging, Inc.